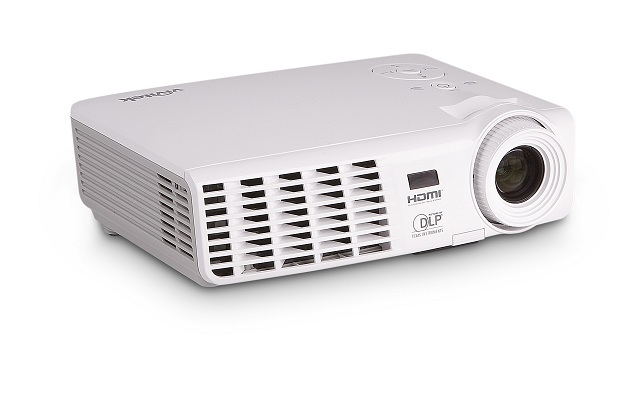 Vivitek Corporation, a leading manufacturer of innovative visual presentation products, announces the shipping of its 2D-to-3D D5 series of projectors. The new D5 projectors, the D512-3D, D536-3D and the D538W-3D, feature conversion technology that take existing 2D content and convert images into 3D pictures, without the use of an external box. The first in Vivitek’s line of projectors to utilize this built-in conversion technology, the D5 series takes standard DVD and Blu-Ray™ content (via HDMI) and switches it from 2D to 3D. The three projectors can also display 3D content from 720p/1080i at 50/60Hz and 1080p at 24Hz from 3D Blu-Ray players or other 3D sources, such as cable or satellite boxes. The D512-3D, D536-3D and D538W-3D feature DLP and BrilliantColor™ technologies for bright, digital images. Add in high-efficiency lamps that last up to 4,000 hours (in economy mode), and the three projectors are an amazing lightweight, presentation solution.